PGCPS General Counsel’s Office is Epicenter for Corruption. | Help Change The World. The Future Of The County Is Now. PGCPS General Counsel’s Office is Epicenter for Corruption. 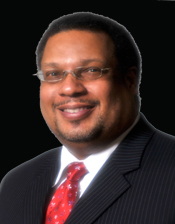 former PGCPS Chief legal Counsel -Mr. Roger Thomas is pictured above. According to the Washington Post [wednesday, Aug. 1, 2012, METRO section, B1 & B4] Synthia J. Shilling has resigned as the “Chief Human Resources Officer” for PGCPS, effective August 15, 2012. It is revealed that she assaulted a Maryland State trooper in 2008 (for which she only received probation) and left the scene of a motor vehicle accident this past May. In addition to willfully violating Federal personnel practices [to the tune of a $5.9 million fine by the Dept. of Labor], Ms. Shilling’s personal life is equally lawless. It is quite possible that Dr. Hite’s resignation and Ms. Shilling’s resignation is just the tip of the iceberg within the PGC Board of Education. You are correct. This is the tip of the iceberg on what has been happening. We need a proper investigation to review everything they have been doing. Hope I’m not beating a dead horse, but how can a licensed lawyer: (a) be convicted of DUI and LYING TO LAW ENFORCEMENT OFFICERS and not be reprimanded by the Bar Association? ; (b) be fired for issuing a 6-figure check WITHOUT AUTHORIZATION to aforementioned convicted lawyer and not be reprimanded by the Bar Association?, and; (c) be responsible for costing the PGCPS over a million dollars in back wages (H1B teachers), $100,000 in penalties, and nearly $240,000 in legal fees and keep his (or her) job? A poster elsewhere mocked the fruitless efforts of pursuing a lawsuit to weed out the entrenched corruption inside the Sasscer building, and considering that the Chairperson of the Board of Education is herself a lawyer, and according to her BOE biography a Lieutenant Colonel with Homeland Security’s Office of Professional Responsibility and Legal Affairs Division. Anyone else would be worried about a conflict-of-interest or the appearance of impropriety, but obviously not in this case. Thank you for highlighting these issues. We need to pursue this to the fullest without surrender. It’s unfair and unethical what she did and continues to do together with Mr. Roger Thomas.